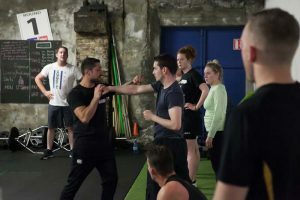 This Boxing class is suitable for those with no previous boxing experience, who are keen to learn the sweet science, whilst getting into the shape of their life. This class is a mixture of both boxing technique and conditioning. You will be taught how to box, from boxing stance, footwork, punch combinations, defense, bag work, pad work & school sparring. It is a high intensity class that will work up a good sweat and improve overall fitness levels & physique. This class is great fun and you don’t have to worry about going home with a black eye. Class duration is 60 minutes. This class is suitable for those that have completed our beginners boxing course and those with previous boxing experience who may be returning to the sport. This class will build upon the basic skills already learnt, with advanced footwork drills, advanced punch combinations, both defensive & offensive techniques, bag work, pad work, shadow boxing & sparring. Take your fitness to the next level, be a lean, mean, fighting machine. 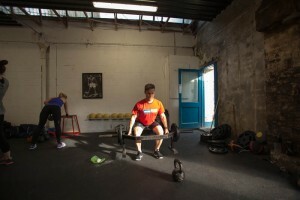 Our Strength and Conditioning classes incorporate the latest, scientifically tested methods of strength & conditioning training in order to deliver high quality classes to our members. Each session has been planned in advance & tested at HQ. 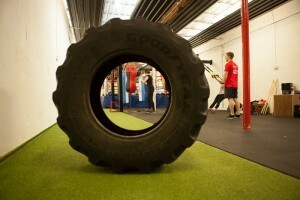 You will find a perfect balance of both strength & conditioning training within our classes. No two classes are ever the same. All you have to do is turn up and allow our expert coaches to guide you through a challenging, demanding workout, within a fun & safe environment. 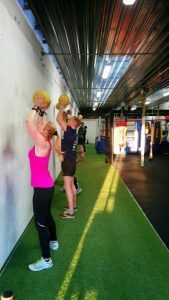 We pride ourselves on fostering a team atmosphere within our classes, where you support & motivate your peers. This class is suitable for all levels. Class Duration is 60 minutes. Morning Conditioning is a great way to start your day. Our classes contain the perfect mixture of strength, high intensity intervals and mobility, to allow you gain strength, develop lean muscle mass & to improve functional ability. No two classes are ever the same. This class is suitable for all levels, everyone works to their own ability to meet their specific goals. Class duration is 50 minutes.